In this book, Kaffe creates a wonderful range of projects from his specially chosen fabrics. The projects are ideal for anyone who wants a touch of the Kaffe magic with a fraction of the time and effort envolved in creating the large scale patchwork quilts for which he is known. 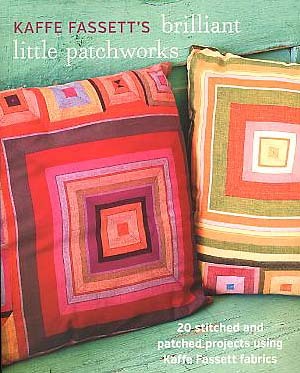 Kaffe's 20 small pieced designs in this book mix bold flower patterns with strong geometrics to make cushions, mini quilts, table runners, and shawls.